Last night I had a dream that I was sitting on a cloud eating the fluffiest waffles with warm syrup. Let's just say I was disappointed when I woke up and found myself nibbling the side of my pillow. I decided first thing in the morning that for lunch I was going to have waffles. I was already to go, my mouth was practically watering at the idea. Then I looked in my refrigerator and saw that I was completely out of eggs. 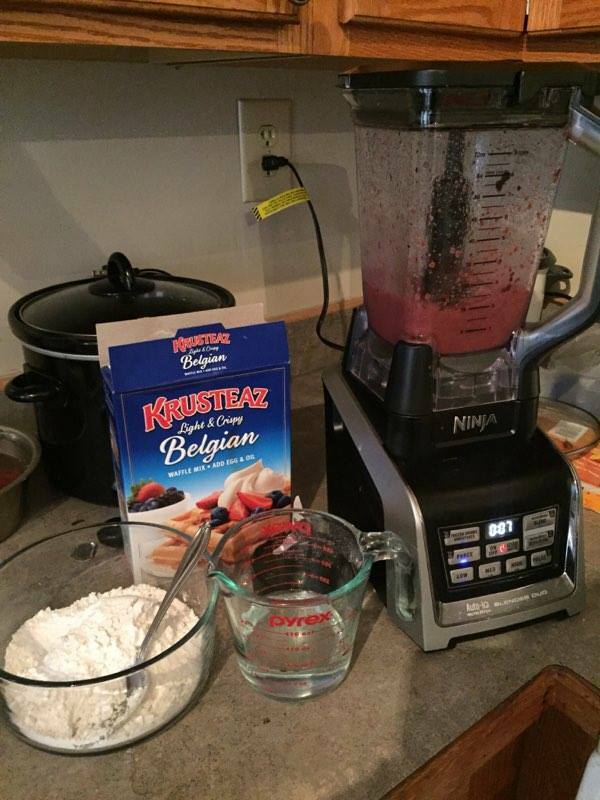 I let myself feel defeated and settled to make a smoothie when I got a brilliant idea. Fruit puree! The waffles came out amazing! They were soft, fluffy, and absolutely to die for! I put together this recipe and I hope y'all enjoy! If you use this recipe or even put your own spin on it take a picture and tag us in it on instagram @smoothievegetarians! 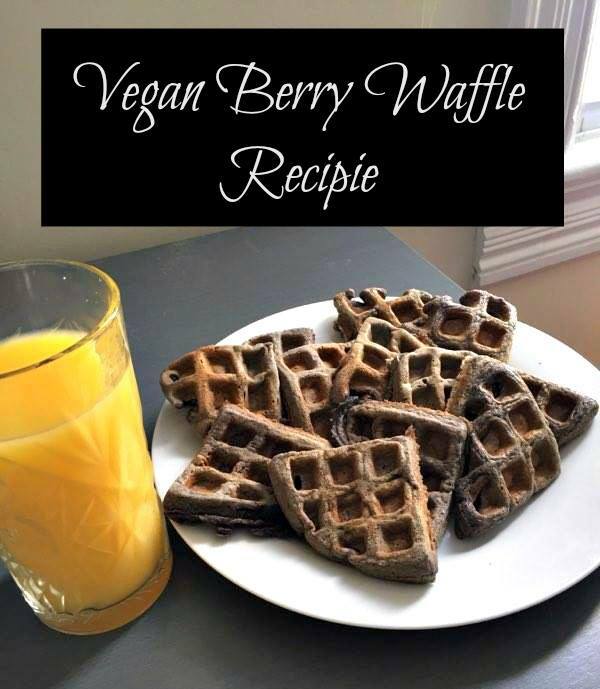 Combine water, Avocado oil, and frozen fruit in the blender and puree until smooth (I had to puree it twice with my blender to get the desired consistency). Once pureed combine with the waffle mix and whisk until it is smooth. Pour waffle mix into the waffle iron and cook according to the waffle irons instructions. Optional top with syrup or fresh fruit.